Anti-lock brakes help you maintain better control of a vehicle under difficult road conditions like ice, rain or snow. When you drive your car through slippery conditions, you have to pump your brakes to make sure that the wheels do not become locked up. With ABS, the pumping is handled internally and much faster than you could do manually. The ABS brakes coordinate the wheel activity, which keeps your vehicle from spinning out of control. Learn more about ABS brake service and where to buy brake fluid when you come to Meineke #104 at Charlotte, NC. Braking sharply is risky but at times necessary in order to avoid a road hazard. One of the major risks of braking is losing control of your car, which could lead to a major accident. The anti-lock system monitors rotational speed and performs a sophisticated algorithm of releasing and pumping the brakes that prevents wheels from locking up and lets the driver retain control. A malfunctioning ABS is particularly risky when driving on a slippery or icy surface, in bad weather or on loose material such as gravel. 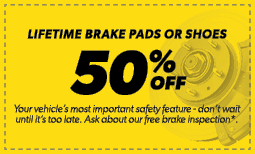 For best performance, be sure to get a regular ABS brake service check at Meineke #104 in Charlotte, NC. If you notice any of the signs of impending brake failure, do not continue to drive your car. Common signs include a lit ABS light, clicking or grinding noises while braking or a pulsation of the pedal when braking. You should also have your brakes inspected if you notice that your car is taking longer to come to a stop or pulls to one side when braking. Other red flags include increased drag when accelerating or lack of resistance when pressing on the brake pedal. 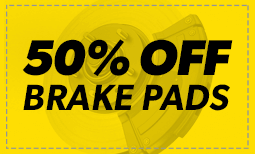 For ABS brake service and all types of brake repairs, visit Meineke #104 in Charlotte, NC. Your first consideration before driving a vehicle should always be safety, especially when you are transporting passengers. The anti-lock brakes often put up the first red flags that your car is in need of maintenance. That funny scraping sound you hear could be an early warning sign of trouble. Your brake pads may be wearing down and if you let the problem go too long, safety might become a very real concern. In addition, worn brake pads can lead to further vehicle damage. Nip these concerns in the bud by taking your car or truck to Meineke #104 in Charlotte, NC, for ABS brake service. The cost to repair or replace an anti-brake system, or ABS, can sometimes be concerning. 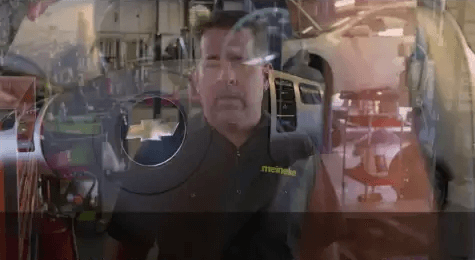 The first thing to do is to bring your vehicle to the specialists at Meineke #104 in Charlotte, NC. You may only need new brake fluid or just a minor part. It might be that new brake pads are needed. Of course, there could be issues with other brake system components. Our professionals can resolve the problem and see that you’re back on the road safely with a solution that is as cost-effective as possible. Keeping your brake system in good order and replacing it as necessary is one of the most important car safety precautions you can take. For this reason, it is essential to have an experienced car professional to rely on. From knowing where to buy brake fluid that is right for your system to resources for ABS brake service, your service center helps you to keep your brakes in top condition. Visit in Charlotte, to learn more about brake replacement and maintenance.